Friday prayer is the political arm of the Velayat-e Faqih. By using them, the theocracy reaches out to its grass-roots, killing in bud #IranProtests. Since January this year, journalists, experts, technocrats of the think-tanks, have written far too many articles on the she-Iranians protesting against the hijab, the moderate H. Rouhani’s pragmatism, and how the #IranProtests have shaken or not the theocracy. The anti-protest rallies, organised by the regime, were sparingly mentioned, but not analysed. 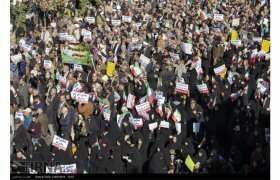 The theocracy wielded support at the grass-roots level and the outcome was to its satisfaction: it bought time to shake off the #IranProtests. Since 1979, the Supreme Leader has been both head of state and the head of organised religion, meticulously thought through for political purposes. Each position legitimises the other. 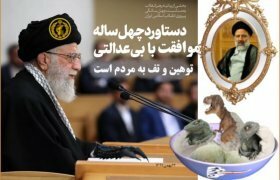 The Supreme Guide, Khamenei, as the leader of organised religion, legitimises the role of head of state. As head of state, he employs all its powers to control organised religion. The system is based on the Iranian constitution of 1979 in which the first six articles are crystal clear. They repeatedly refer to the notion that all civil, penal, financial, economic, administrative, cultural, military, political, and other laws and regulations must be based on Islamic criteria. By Islamic, one must read the Twelver Ja’fari school, otherwise known as Shiite. The constitution clearly states that this principle will remain eternally immutable. The Shiite hierarchy has enjoyed a forty-year time span to meticulously organise its own version of political Islam. Today, hundreds of Islamic institutions, bureaus and headquarters (ستاد) have infiltrated every aspect of the social and private lives of Iranian citizens. They check the conformity of the people’s thoughts and actions to religion as defined from high hierarchy. The #IranProtests had neither a political perception nor the organisation needed to face the regime. Outside the political Islam and organised religion, there is no national consensus on a political future. The oldest and the most visible institution of the Shiite hierarchy is the Friday prayer. Using these weekly assemblies in the mosques, the Velayat-e Faqih reaches out to the local communities and grass-roots citizens. Every Friday, the assemblies are held all over the country, be it in small towns or large cities. Setad-e Jomeh, Friday Headquarter, is the umbrella organisation, under the direct supervision of the Leader whom nominates the provincial delegates for the role of Emam Jomeh (Friday Imam). It has many tentacles in the forms of committees, boards, and councils that penetrate the Iranian social fabric, be it education and health or professional bodies, to ascertain their conformity to religious dogmas. The influence of the Emam Jomehs depends on the importance and demographics of the cities and towns in which the Shiite hold office. The most prestigious chair is that of Tehran. It was held for many years by Ali Khamenei, under Khomeini’s guardianship, before he became the Supreme Guide himself. The sermon given by the Emam Jomeh after a collective prayer is an exercise in reviewing the week’s political news, tuning and commenting on them in line with the Leader’s policies and declarations. Friday prayers should be short, useful, spiritual, enlightening and attractive. The Friday Imam should have the art of conveying his topics concisely. Hence, the worshippers should leave the Friday Prayer closer to God, and have a better understanding of religion by strengthening their faith, and be more resilient to the enemies of Islam and the Muslims. […]Considering the importance of the sermons in the Friday prayers and their topics, the directive of the Friday prayer commands that people should listen carefully and in silence to the sermons, and avoid talking among themselves or moving their head more than it is permitted during a prayer. This is what makes the strength of such meetings: all adhere to one view of the world, that it is safe, as long as the clerics protect them from the enemies. The audience is only expected to listen reverently, cry when asked, call for death of the enemies, praise and chant greeting to God, Muhammad and his descendants when ordered. However, it cultivates the greatest failure of any society: when people do not talk and exchange ideas, they wither and conform to the mainstream ideas, which are never to be challenged. Contemporary writers highlighted the importance of Friday meetings during the 1978-1979 turmoil and the creation of the Islamic Revolution. Although they trod on the unknown grounds of political Islam at the time, they could describe how the meetings were used as very efficient tools of political propaganda and religious organisation within Iranian society. In 1978-1979, the messages were straightforward: the Shah was the villain and a Western instrument in corrupting a pure and candid population. Get rid of him and Iran would be the representation of the Garden of Eden in modern times. The simplistic ideas, repeated in the mosques, pleased the population and practical questions were not asked. However, every country forms a complex whole. 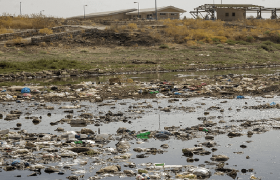 Today, after forty years, the failures in every domain except those of corruption, hypocrisy and double-speak and dual-behaviours have turned the ideal of the Garden of Eden into a polluted and dried land, literally and figuratively. Friday Prayers are the Velayat-e Faqih’s platforms to keep the flock of believers in line with his political Islam objectives. They are a powerful means of spreading received wisdom, performing vacuous rituals, and stifling the voices that could encourage creative work and original ideas. During his preaching, the Emam Jomeh tweaks facts or makes up stories to fit them into the religious message he is responsible for delivering. Even if, historically or scientifically, the nonsensical blather does not stand up to logic or critical scrutiny. Systemic bias is the means of their trade, far be it from them to even attempt some intellectual honesty. Below are some headlines from Friday prayers published last week. They repeat what has already been said by the Leader, and a round-up of the week’s news is told in simple language for those who are not keen on the media and believe that the Friday preacher has the sturdy intellectual independence and integrity to be heard first-hand. demanded harsh retribution against bad-hijab women and women dancing. NB: this statement comes from the president of the Assembly of Experts, Ayatollah Ahmad Jannati, 91 years old, who is obsessed with women’s scarves and dancing. He sees the hijab-less women as being females scantily clad and dancing in unison with men, in a vulgar display of wantonness and unbridled lust. Moreover, he has repeated endlessly: just like we destroyed the regime of the Shah, we will destroy America and Israel. 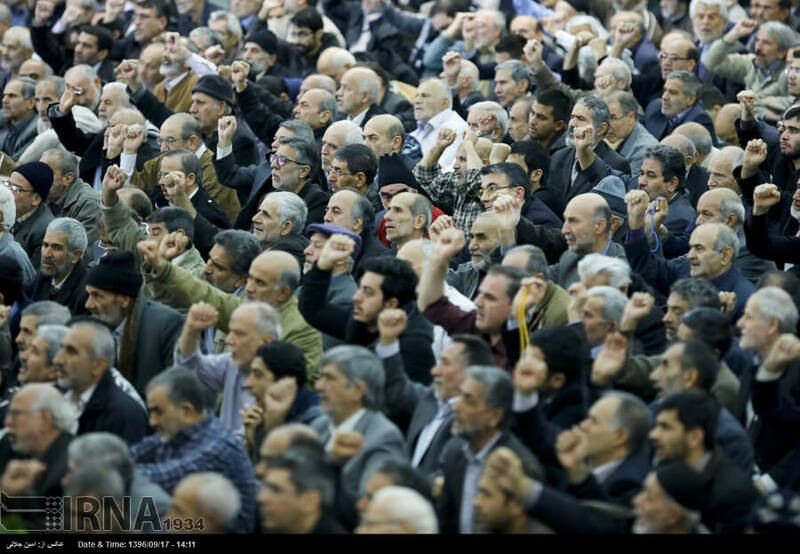 What is the impact of the claims made by the #IranProtesters and the social activists’ denunciations of the beliefs of those attending the Friday prayers, the grass-roots of Iranian society, the backbone of the ayatollahs? Do their words reach them to hatch a political awareness far from the official discourse? The citizens’ protests have gained momentum. In the country, there is no week without a walkout over unpaid wages, unfair labour treatment, water shortages, over-priced and poor-quality foodstuff, unemployment, pensioners’ income, and widespread xenophobia. Often, the hundred or so protesters, holding banners and claiming their rights in peaceful meetings, are met with muted reaction from both the authorities and the passers-by. If they insist, things get ugly, and the protesters are beaten and arrested on the spot or the following night at their homes. The demands of the protesters are legitimate, but the protesters remain individual and mutually exclusive. No binder brings them together to make a common cause for their demands. Abroad, the social activists in many domains do their best to make their public aware of the human-rights abuses by the regime: minority discriminations, gender apartheid, rampant poverty. Yet, in the country, the impact of their denunciations is little. There is no political structure that would permit them to make better use of their information, or take them to the back gardens of Iranian society where the grass-roots of the theocracy attend the Friday prayers. Once more, no binder brings the social activists together and makes a common cause of their observations and decides on actions with a political weight that would go far beyond alerting and seeking the aid of international NGOs. The internet has created a poisonous ecosystem of evil and good. The quantity of “likes/followers” gained on social media, the virtual traffic brought by bots to websites should not blind the social activists. In the West, the internet is a marketplace: those who pay more for certain tools and certain keywords get more. 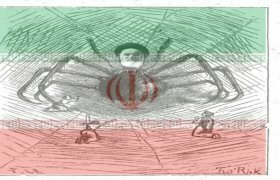 The Iranian regime feeds the internet ecosystem by the means it has used and refined during the last decade: Internet Halal, hacks and trolls. Once in a while, as in 2009 and 2017/18, one is tempted to believe that the basis of the regime has been shaken. However, the ingredients and the methods that feed this ecosystem from Internet Halal are politically efficient and socially powerful and cannot be dismissed lightly. The tentacles that in 1978-79 penetrated each and every social stratum are still very much alive and operating. There are hundreds, if not thousands, of cells, headquarters (ستاد) to hammer in the regime’s propaganda, and recruit the grass-roots. Friday prayers are the visible weekly testimony of their activities. Many Iranian people from all walks of life feel strongly that there is no viable alternative to the present regime. After forty years of practice, they are used to it. They have learned to create a private bubble to survive the public violence. But private bubbles are shrinking as the world changes. The social fabric of Iranian society is transmuting, and so is the nature of the regime. 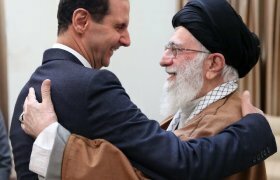 From a theocratic, non-aligned power as it presented itself in 1979, it is now a military force, IRGC, which exports its revolution with a brazen assurance, relying on Russia. There is very long way ahead of actors and social activists in the #IranProtests in their quest to impact the grass-roots. The Iranian regime is not all about its politicians – the known elements and ruling – but also about those among us, crafty citizens and profiteers of the stupidity or the miseries of others. It is also about our awareness of the irresolution and the cowardice of those who could prevent the very same politicians and crafty citizens from destroying the social fabric, but do not do so. When it comes to reporting from Iran, most of what we hear has been filtered by the views of observers from Tehran. Many writers believe that Tehran is the capital of Iran and the country’s pulse, it is also a rich display of multiculturalism among Iran’s ethnic population and thus provided [them] with a unique frame with regard to overall life in Iran (e.g. Ali Delforoush, The Iranian Chronicles, 2012, ebook-23.6 / 477). It narrows down to saying that Paris or London are the showcases for all lifestyles and thoughts throughout all regions of France or the UK. Therefore the regime can not only wipe out the differences that make a country colourful and lively, but can also hammer into minds that northern Tehran is the only portrait of Iran: lively, rich and modern, whatever the last might mean. The use of modern technologies developed elsewhere without the liberties that are essential to such developments or their use is not a sign of mentality changes and human developments. It is more than two decades since the books published on Iranian affairs forgot to weigh the influence of the Friday prayers on the society’s grass-roots. Most authors of Iranian extract publishing in the West are silent on the Friday prayer issues and the institutions that propagate the political Islam of the ayatollahs. In the past, as a mute observer, I went to Friday prayers, in Tehran and provincial towns. I was clad in chador and chaperoned by a local woman to show me how to behave so I would melt into the crowd. I was forbidden to react to the men’s molestation and sexual abuse as we approached the vicinity of the mosque and queued up to get in. Hold to your chador and shut up, I was ordered by my chaperon. At great cost to my principles, I did what I was told to do. When sitting with other women in a far corner of a mosque, far from the preacher’s direct eye contact, I felt pathetically disposable. During the preaching, and hearing the nonsensical blather, the shackles of blind faith and obedience to the Authority made themselves felt in every inch of my body as a citizen. Listening in total servility to the propaganda uttered by the delegate of the Leader opens one’s eye to the abyss of the despicable chauvinism that is part and parcel of the Iranian cultural heritage. 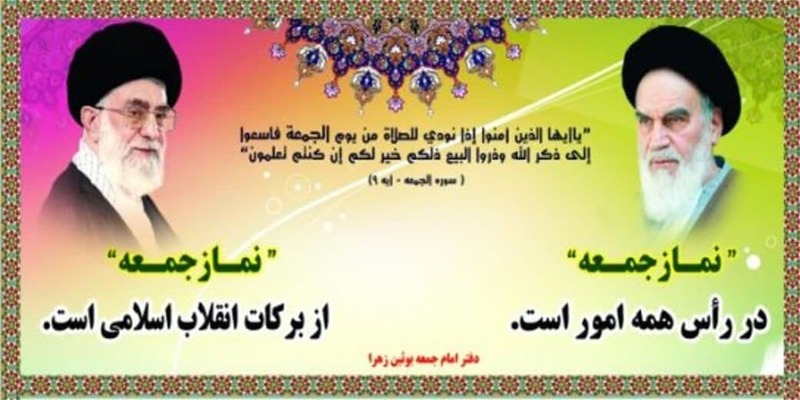 It led to the establishment of the Velayat-e Faqih, and to strengthening it. Today, it prevents healthy debates and the constitution of credible citizen movements in ample proportions. Before the Velayat-e Faqih can be replaced by a different form of government that accepts equal rights among the citizens, and opens up to the world, the faulty parts of the cultural heritage need some re-engineering. This cannot be performed by literacy or even collecting higher education diplomas. It needs education from early childhood, encouraging curiosity, and providing means of creations in arts, sciences and humanities. In the past, I tried to discuss these points with people in my close circles. In Iran, public and open debates are no-nos! So one always ends up discussing matters with trustworthy friends and family. This does not bring in new perspectives. One goes round and round in accepted views of the close circle. 1. Why despite all the violence used against its own citizens, its failed management, its monopolistic economy and endemic corruption, does the Velayat-e Faqih still have wind in its sails? 2. Why there are no credible political challengers, organised and growing in numbers, to their power? On one occasion I was able to discuss these points. Surrealistic as it might be, my chaperon was a she-bassiji, a salaried employee for the Islamic moral enforcement patrols, Gashte Ershad. Often things are never the way they look. I could be any of them: in a corner, disposable and far from chauvinistic eyes.